Introduced at OpenCompute Summit on March 20, 2018. 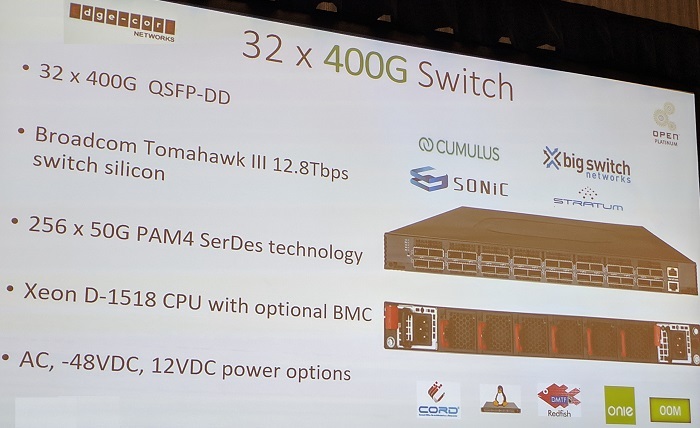 The Tomahawk III BCM56980 switch was featured in a keynote address by Edgecore and shown on the show floor. 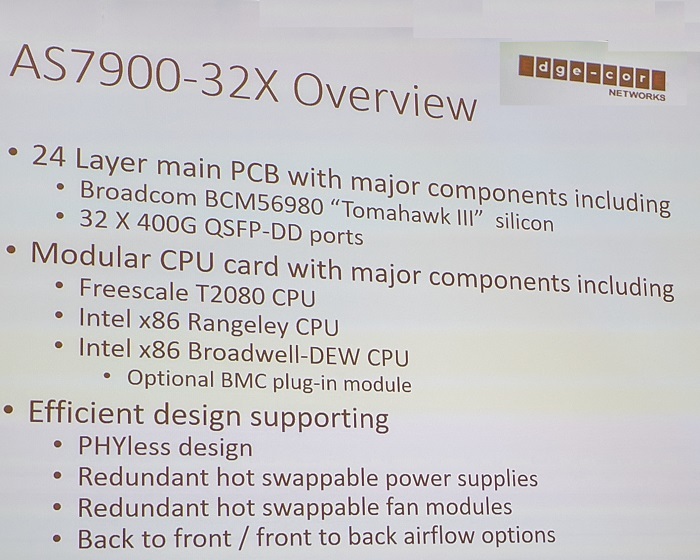 Not clear why you'd want a Freescale processor with a Tomahawk III, but I guess it's nice to know it's an option. It appears that a full design package will be submitted to OCP and then this page will get fixed up. 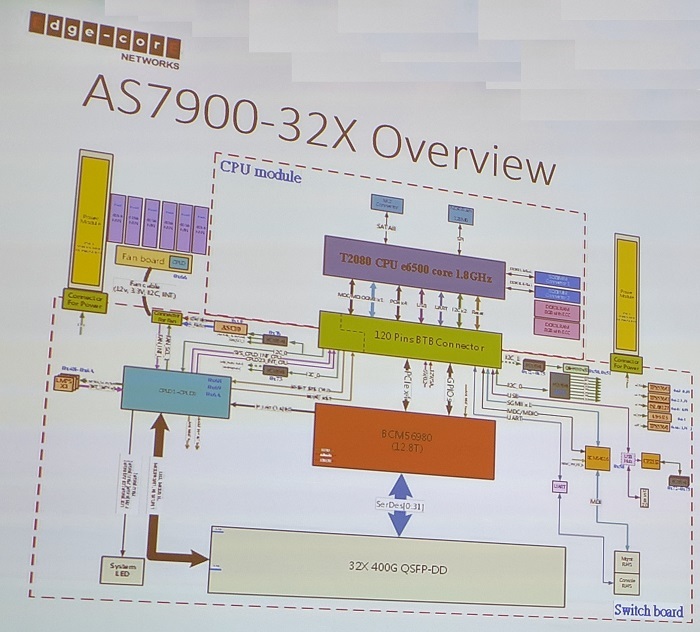 Showing two part numbers AS7916 and AS7900 is consistent with previous OCP submissions. There is no data sheet yet; it should appear just before the switch enters the supply chain. In the trade show floor photo below, most of the ports have blue loop-back plugs. 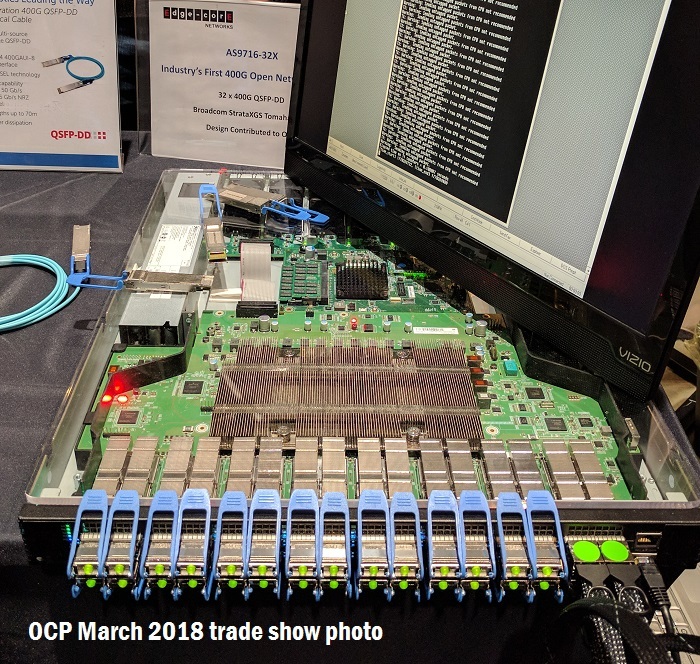 Availability of the switch is ahead of the optic modules that will be needed to warm its DD QSFP slots.